This is it…your last chance to win a prize as we wrap up our summer “Here’s Looking at LU Photo Contest.” We’re going to try to end things with a “toughie.” If you can identify this week’s mystery photo, send us your guess and you could win a weekly prize and qualify for the $50 grand prize prize package from KK’s Apparel and Gifts in the Warch Campus Center. Last week’s “caged book” photo generated a bumper crop of submissions. Numerous respondents were in the right church but the wrong pew, mistaking the Milwaukee-Downer Room with the Lincoln Reading Room. Congratulations to Arielle Steinberg ’11 of Bartlett, Ill., who knew last week’s photo was of the locked book cases in the Milwaukee Downer Room of the Mudd Library that house some of Lawrence’s rare book collection. 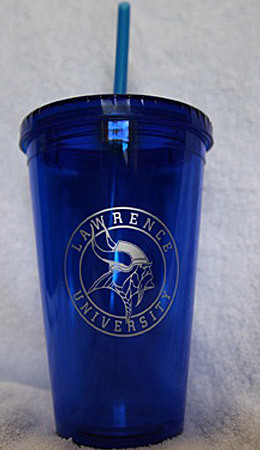 Arielle was randomly selected from among 34 correct answers this week and will receive a Lawrence University spirit tumbler for her winning entry. The contest concludes on Labor Day. Submit your guess by midnight, Sept. 5 to be eligible. In addition to awarding our final weekly prize, we also will announce our $50 grand prize from among all of the correct weekly entries. Good luck! Win this LU Spirit Tumbler! On Sept.6, 2011, at the conclusion of the contest, one entry from among all correct contest entries will be chosen as the “Here’s Looking at LU!” grand prize winner. The grand prize winner will receive a $50 prize package from KK’s in the Warch Campus Center. The more weeks you enter, the better your chance of winning! 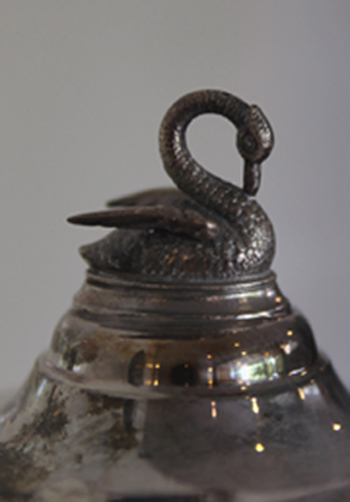 One photo will be posted on Lawrence’s website each Monday for the eight-week duration of the contest. Following the posting of each photo, entries may be submitted to communications@lawrence.edu until 12 midnight CDT (Central Daylight Time) the following Sunday. A weekly winner will be randomly selected by Lawrence University from among each week’s correct entries and all correct entries will be eligible for the grand prize drawing on August 29. By entering, you agree to have your name published on Lawrence University’s website and in other university communications. Lawrence University is not responsible for lost or misdirected entries.